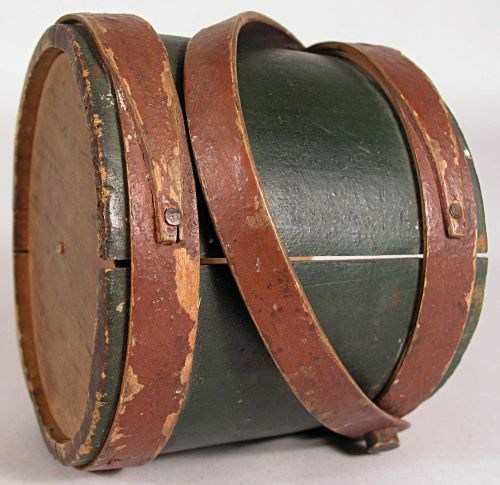 John D. Wahl Antiques - Miniature Painted Bucket or Firkin Probably Caleb Hersey Hingham Mass. 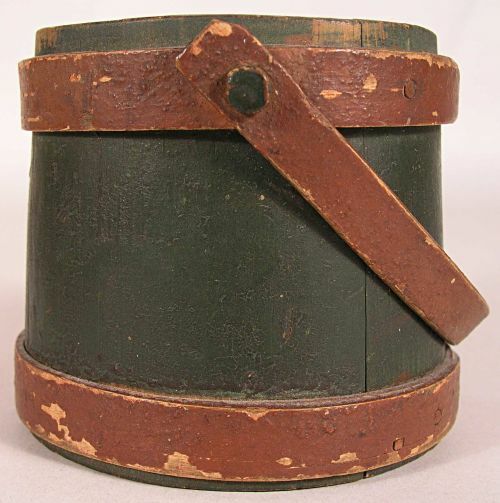 Miniature Painted Bucket or Firkin Probably Caleb Hersey Hingham Mass. 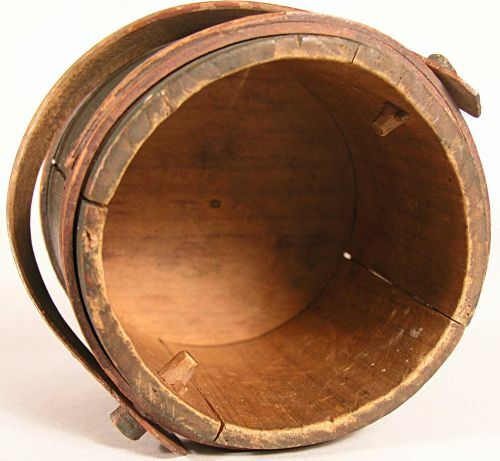 Fantastic miniature painted wooden bucket or firkin. Although not maked it is probably made by the Hersey family of Hingham Mass.I`ve had others marked C.H. Dry green paint with Red bands and handle. 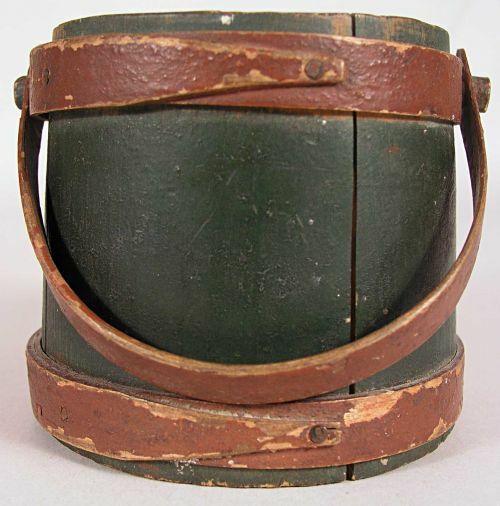 Does not appear to have ever had a cover as there is not much space between the top band and the top edge therefore I believe it is a bucket and not a firkin.